The Ridgeway. It only took seven years! 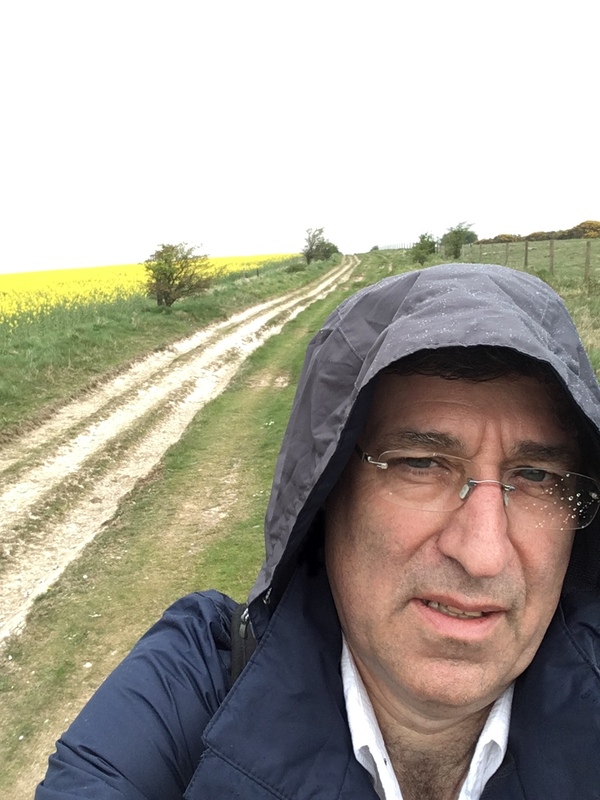 You may recall my post back in 2009 about walking the Ridgeway long distance footpath. Well you can see from that post that I had left the final section, from Fox Hill to Overton Hill, a distance of about 17 miles, to be completed. What happened? “Events, dear boy, events.” A lot has happened in those intervening seven years. I got a job – that was the immediate cause of my being unable to finish the walk. We’ve also acquired a beautiful great-niece, Imogen, and a great-nephew, Toby. My Danish niece Katarina has moved to the UK to study at Canterbury Cristchurch University. Her sister Sarah has graduated with First Class honours. And Maddie, the daughter of my best friend from University, has become engaged. And that’s the trigger. Maddie invited my wife to her hen weekend, and so my wife asked me what I’d be doing this weekend while she was away drinking prosecco and Pimms at a cottage somewhere in the North of England. 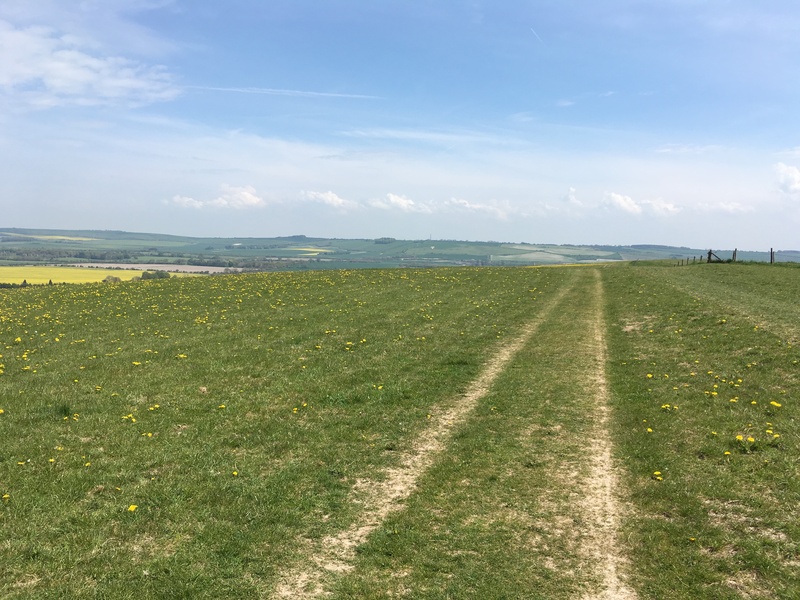 And I thought – I can finish the Ridgeway path! That’s how I found myself crammed into a very small seat on a GWR train to Swindon in the rush hour on Friday night. One of the reasons it’s taken so long to get this final section done is that it’s not very accessible – but I finally worked out that I could do it using Swindon as a base. So I’d booked into the Travelodge for two nights – it’s very handy for the bus and train stations – and I was on my way. We used to live in Swindon. More than 30 years ago. It’s changed so much I didn’t recognise anything at all. There’s a new cinema complex which includes several chain restaurants: Prezzo, Nando’s and GBK. Having explored the, rather depressing, town centre, I opted for Prezzo and had a decent meal. It’s about the most up-market restaurant in the centre of Swindon. I had a beer in the bar of the Travelodge before retiring, and had a long chat with the manager who promised to buy me a beer the following evening if I finished the walk. The next morning I loaded up with the buffet hot breakfast – just scrambled egg, and no black pudding, but tasty sausage, beans, mushrooms, toast, tea & OJ. 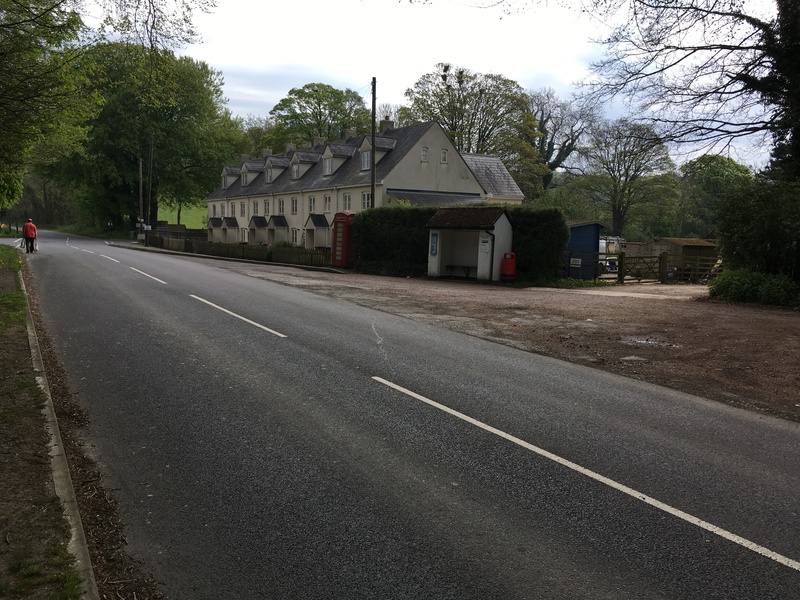 Then I was on my way to the bus station to get the 48 service to Fox Hill, the place where I’d finished the previous leg all those years ago. Irritatingly Thameslink buses only accept exact fares on their services – the driver has no access to the money and can’t give change. So I had to over-pay for my bus fare. At least the bus ran on time, and the fares aren’t exorbitant (unlike the services where I live in Wycombe and South Bucks, where the fares are high and the buses seem to never run to schedule). As I boarded an elderly gentleman asked which way I was going to be walking. I explained I was heading south west to Overton Hill and Avebury. He suggested I got off the bus at the top of Liddington Hill. He was trying to save my having to walk a mile or so along the road from Fox Hill to Liddington where the Ridgeway then leaves the road and heads up over the hills again. I thanked him for his concern, but pointed out that for my own peace of mind, as well as the completeness of the walk, I needed to start the walk from the point I finished it last time. So there I was. Fox Hill. Next to the long-closed Shepherd’s Rest pub and opposite the bus stop where my last adventure along the Ridgeway path finished seven years ago. So I unholstered my new trekking pole, donned my sunglasses and set off. 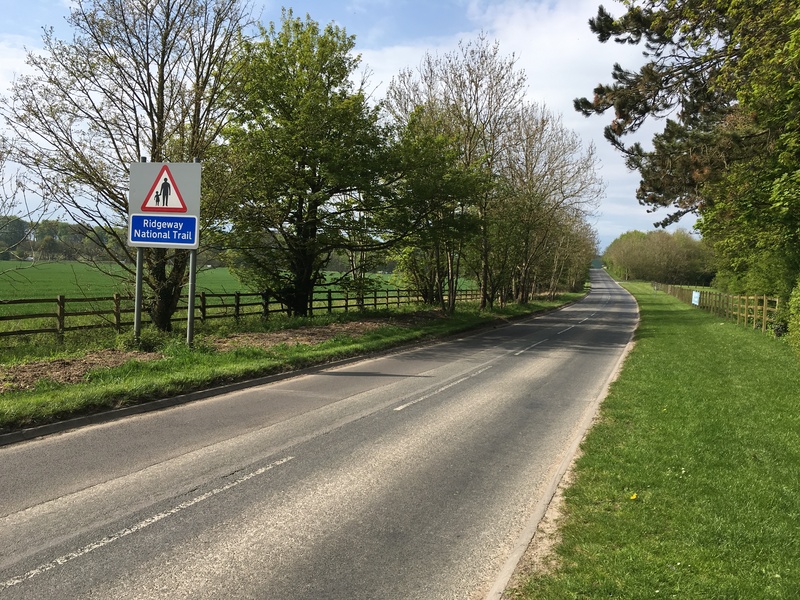 It’s just over a mile to the point where the Ridgeway leaves the road again and you start the climb to Liddington Castle; most of it involves walking on the verge or on the road itself. I started to see people running in the opposite direction. Then more of them. Then lots and lots. When I eventually left the road and set off uphill I encountered a checkpoint for the runners, and since there was a pause in their flow I stopped to ask the marshall what was going on. 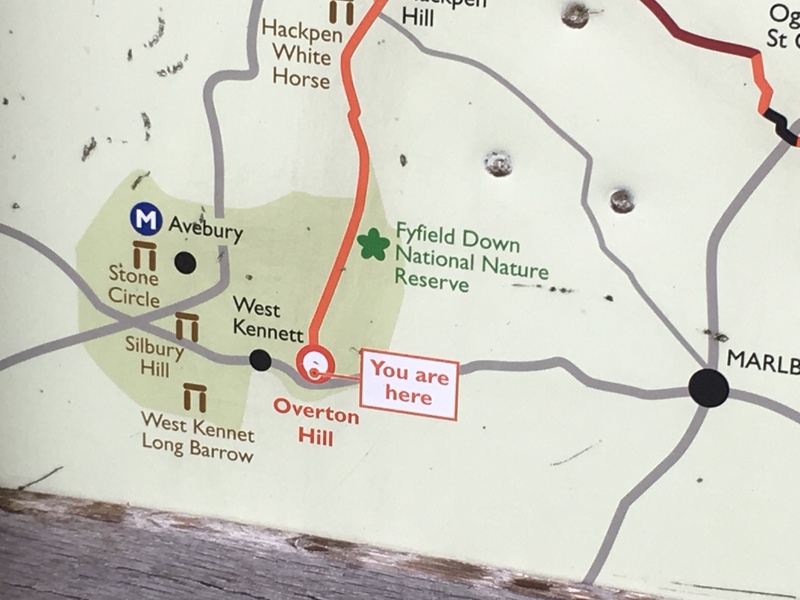 Apparently today was the day for an Ultra-runners’ 40 mile race along the Ridgeway from Overton Hill to Goring, and this was about the 15 mile point. Some 300 had set off, so clearly I wasn’t going to have a quiet walk, and I definitely felt that I was swimming against the tide! Most of these runners, after 15 miles, looked as fresh as daisies. But a few others looked like they’d had enough already. I hope they all made it. I said “Good morning” countless times. At four miles on my walk, as I approached Ogbourne St George, the runners started to thin out, but there were more and more walkers, all heading in the opposite direction to me. 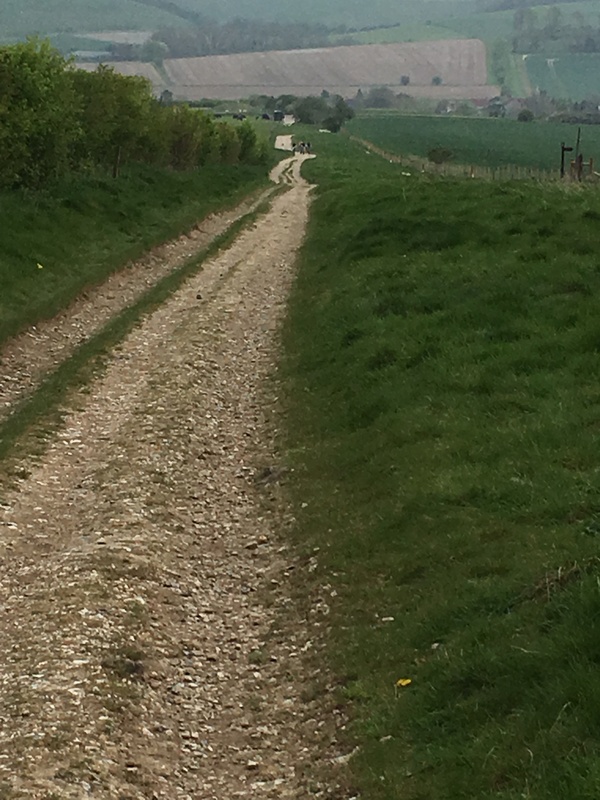 But as soon as I passed the point the Ridgeway crosses the Ogbourne St George to Aldbourne road there were no more. They were obviously starting a day’s walk on the Ridgeway from Ogbourne and heading in the direction from which I’d come. After this it was quiet, sunny and warm. Quite a beautiful walk round Ogbourne and along the ridge towards Barbary Castle. Smeathe’s Ridge just short of Barbary Castle is where I chose to stop for my lunch – a ploughman’s sandwich I’d picked up at Tesco in Swindon before I got on the bus. I’d encountered three horse riders, whom I helped through a gate, and 28 mountain bikers (they announced their number as they passed me, so I’d know when they’d all gone by) some of whom looked more terrified than others. Oh and a young Italian family walking in the sunshine. But otherwise it was quiet and beautiful. After my lunch, a drink and a brief rest to get some blood back in my feet, I resumed my progress. Through the hubub that was Barbary Castle, where I found all my mountain biking friends having lunch at their cars, and once again I was on my own on the climb up to Hackpen Hill. I felt a few spots of rain. The rain held off for a little while, but then it got heavier. And heavier. And the walking got harder – this is a byway, so motor vehicles are allowed, and they’ve cut enormous ruts in the surface. This makes it hard to find anything like a pleasant walking surface. But on I trekked. In the pouring rain. Until over one crest and there I could see the end of the walk – the A4 with heavy traffic on it – in the distance. And after another mile, that was it. The end of the trail. A bit of an anticlimax really. 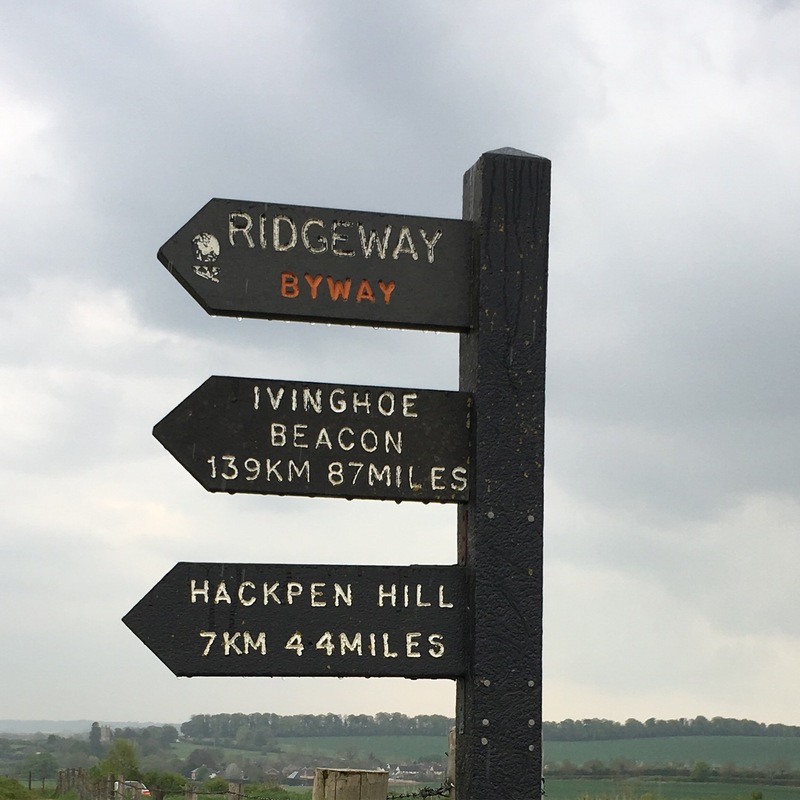 There’s nothing but a car park, a small nondescript sign that says “Overton Hill” and a signpost pointing the way to Ivinghoe Beacon, 87 miles behind me. So it was a further trudge of about two miles along a very wet road with no footpath to Avebury, for a pint (of Wadworth’s 6X – we’re in Wiltshire, what else?) and a deserved sit down while I waited for the bus back to Swindon to collect that pint from the manager of the Travelodge. That’s it. One big thing on my “to do” list ticked off. easyJet Plus card – is it worth it? If you fly more than 5 round trips (10 sectors) a year on easyJet, AND you book the most expensive allocated seats then it may be worth considering it. Otherwise don’t bother. 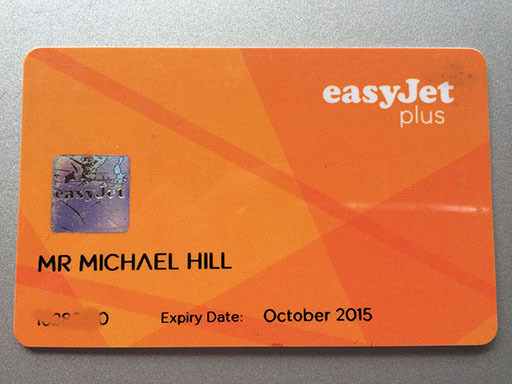 Yes, I entered a Twitter competition and won a free easyJet Plus card in October 2014. I’ve been using it for a year. It’s now renewal time. My question is – is it worth paying for? At the time I won one, the price was £149 to join and £139 to renew. However during the year they’ve changed the Speedy Boarding and Plus Card rules, and the price has gone up to £170 per year (£160 if you join on board – but of course if you do that you have at least one flight where you can’t use it). And there’s no discount for renewal. So in the year since I got the card would I have saved money? I’ve flown 10 sectors in that year, but two were before the card arrived so I couldn’t use it. So 8 sectors. Even if I had chosen the most expensive allocated seat (£15.99) on each flight then the current annual fee for the card significantly exceeds the amount I would have saved. Surely there are some benefits you don’t get if all you do is pay for seat allocation? Yes, but only fast track security. Not all airports have one, and we’ve found on at least two occasions that it’s faster at Gatwick (our normal originating airport) to go through regular security rather than Fast Track. Shame there isn’t a Fast Track arrivals – that would be worth paying for! But the other benefits: Speedy Boarding, two carry on bags and dedicated bag drop are all available to those who just pay for seat allocation either upfront or in an exit row. Most of mine would have cost £10.99 rather than £15.99, so I’d have had to fly 16 sectors to make it worthwhile – that’s twice as many sectors as I actually flew. So for me a paid for easyJet Plus card doesn’t work. At the old renewal price of £139 I’d probably just have done it, but at £170 it really doesn’t make economic sense. And since there’s no discount for renewal, if I decide next year that I will be flying enough to make it worthwhile, I’ll simply join again – I can save money by not being a member when I don’t fly – and there’s no penalty for leaving and joining again several months later before your next flight. Thanks for the freebie easyJet, I really enjoyed it. And I will occasionally miss using the fast track security, but overall it’s just not worth paying for. Sorry. 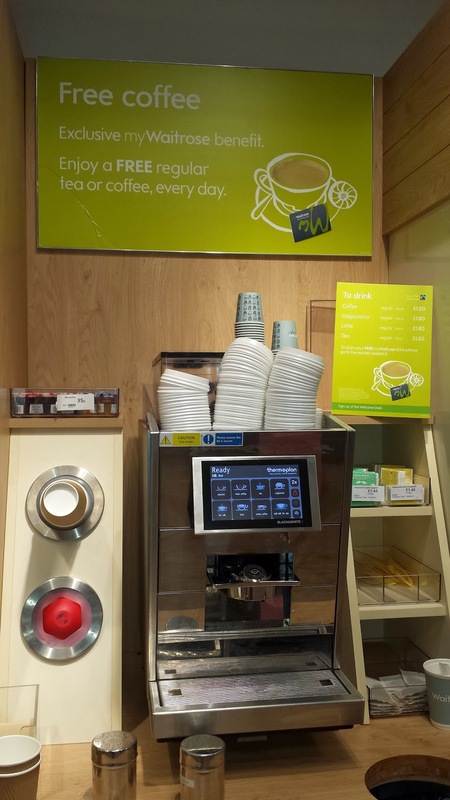 Is encouraging shoppers to carry hot liquids around the supermarket really a good idea? Normally I avoid supermarket shopping (unless it’s for alcohol… which is one of “my jobs” in our family). However my lovely wife and I dropped into our local Waitrose supermarket for a few bits the other day, and I was surprised to see people wandering around the store clasping cups of what appeared to be hot coffee. UPDATE: Waitrose replied to my post by email within minutes of my posting it. See end of full post below. I must say I generally abhor people eating and drinking while walking around in the street. This is a trend I blame entirely on Starbucks. But do we all lead such busy lives that imbibing our caffeine fix must be done literally on the run? If you must do it in public why not find a seat, a public bench, a shop window ledge, or better, a real café in order to sit down and drink it? I’m sure it’d be better for both your blood pressure and your digestive system. But now people are doing it in the supermarket. Then I discovered the reason Read the rest of this entry ? OK, it’s not that bad yet. And I mostly commute by bike from Marylebone Station to the City, so I’m not trying to drive around London. First, the only dedicated bike route from the West End to get to Marylebone Station has been closed – just to save a few seconds at the lights on Marylebone Road. Now, in order to legally cycle to Marylebone Station I have to turn right onto Gloucester Place – the main northbound route in that part of London – and do battle with dozens of buses, lorries and motorists – and the bus lane has been painted out so no protection there. At least I can cross Marylebone Road easily because left turns have been banned, and then I have to turn left into Dorset Square. Read the rest of this entry ? The news today is full of reports of 2-hour queues at Heathrow to get passports inspected. I remember the halcyon days of international travel, back in the 1990s, when getting back into the UK after a trip abroad was a breeze. You stood in line for a few moments with a queue of maybe 10 or 12 people ahead of you. The passport official (now the UK Border Agency of course) took a cursory glance at your passport and you were in. Back in the halcyon days of travel only getting into the United States was tricky and time consuming. Today getting back into the UK, Read the rest of this entry ? I’ve been reading about the EU legislation that’s going to make it compulsory for cars to drive with their headlights (or day-running lights) on all the time. And as a cyclist, it doesn’t seem to make sense to me. From my perspective, cars are very visible. They tend to be large, shiny and moving – which is what makes them stand out to the human eye. Cyclists tend to be smaller, not shiny and not moving very fast. Pedestrians and other motorists rarely look for cyclists anyway. You are currently browsing the archives for the Out and About category.